BreakTime is a service aimed at “giving a break” for carers of older people living in the rural communities in West Cheshire. 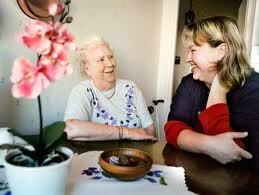 The service offers support of a flexible nature which is tailored to the needs of the carer and the cared for person. The service is provided by our volunteers with the support of our Organisers. The types of support offered are wide ranging, such as offering companionship, taking part in leisure activities with the cared for person in their home, and taking trips out. The service aims to allow the carer some personal respite time to use as they wish, for example, to undertake a leisure or social activity, attend an appointment, or just relax. BreakTime volunteers live within the local community and all are DBS checked. If you know someone who could benefit from this service, or you would like to become a volunteer, please contact Jean Toyn.